It contains over 300 resources/activities/tips/tricks/ideas to help any teacher in any subject, any age group in any country! It is free to use and to date has had over 3 million image views. Try This Teaching Toolkit was nominated for a UK Blog Award in 2017 and has been ranked as a Top Ten UK Educational Blog for many years. 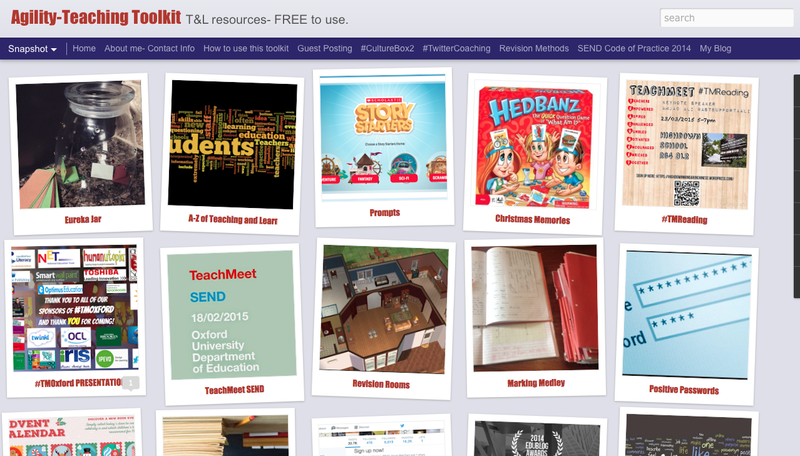 Great array of ideas and resources. Just to make you aware the hyperlinks don’t work. You have to copy and paste them into the address bar.